THE BALMORAL Hotel continues to go from strength to strength. West Belfast’s only hotel finds itself so busy that it now employs a sales manager. Step forward Shaws Road and Rossa man Malachy Carabine. Malachy has over 25 years experience in the hospitality industry and he looks forward to bringing his vast knowledge into his new role. He took time out of his busy schedule to speak with the Andersonstown News and tell us what exactly his job entails. “I see myself as an ambassador for the hotel. I’m here to promote and to source new business, basically I’m here to sell the hotel. “If you haven’t been in the hotel in a while it’s really worth a visit. There has been so much work carried out that you need to see it for yourself. “This is a new Balmoral, not the old one that everyone remembers. At the minute we have a full restoration project going on in all the bathrooms, there’s a lot of money being invested into the hotel to ensure that we get everything right for our customers. We love hosting conferences, annual dinners, sporting events and the like. Malachy added: “We now have Stix and Stones restaurant in the hotel and it couldn’t be going better, people are loving this new dining experience. It’s a great brand to marry with the hotel – both complement each other. The Balmoral is famous for hosting weddings and Malachy said they would love to expand on family traditions. 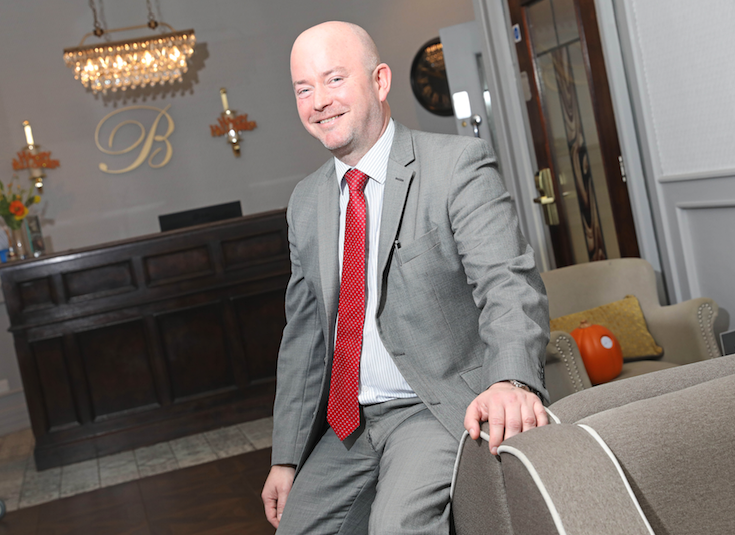 Discussing the recent record-breaking tourism figures for West Belfast, Malachy said: “There have been lots of times when we have reached full occupancy within the hotel recently and that speaks volumes. Other times we have only had a handful of rooms left to sell. “We have noticed an upsurge in tourism in West Belfast and we want to connect with our local tourism hotspots and work in conjunction with them. We want this to be a tourist experience.